In April, Seagate agreed to purchase Samsung's hard drive division in a transaction valued at $1.4 billion. Technically speaking, the acquisition is complete and Seagate has launched a web pagededicated to the purchase for customers. Logistically speaking though, the companies have their work cut out for them as they restructure and combine their products, resources and talent. Currently, Seagate is providing mechanical hard drives for Samsung PCs while Samsung is returning the favor with flash chips used in Seagate's enterprise SSDs and consumer hybrids (ie. Momentus XT). As a result of the deal, both companies have extended and improved an existing patent agreement allowing them to dip into each other's R&D efforts. 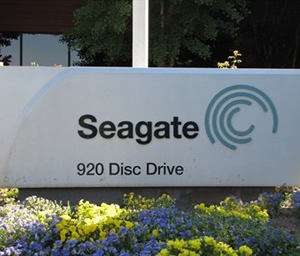 Also, Seagate will be gaining significant inroads to customers in China, South East Asia, Brazil, Germany and Russia. In addition to patents and distribution, Samsung will also be appointing a nominee who will join Seagate's executive board of directors. Samsung's current HDD product line-up will also be Seagate's property. This includes Spinpoint M8, MP4 and S3 portable products. While it is uncertain if Seagate will choose to retain any products from Samsung's meager production portfolio, the Samsung brand name will live on for the next 12 months as per the agreement. This latest acquisition seems to be yet another nail in the coffin for mechanical hard drive manufacturers as they continue to reduce down into just a handful of companies. Incidentally, Western Digital is still working on its own acquisition of Hitachi Global Storage Technologies. If the merger completes next year like WD believes, there will be only three major HDD manufacturers left in the world: Western Digital, Seagate and Toshiba.